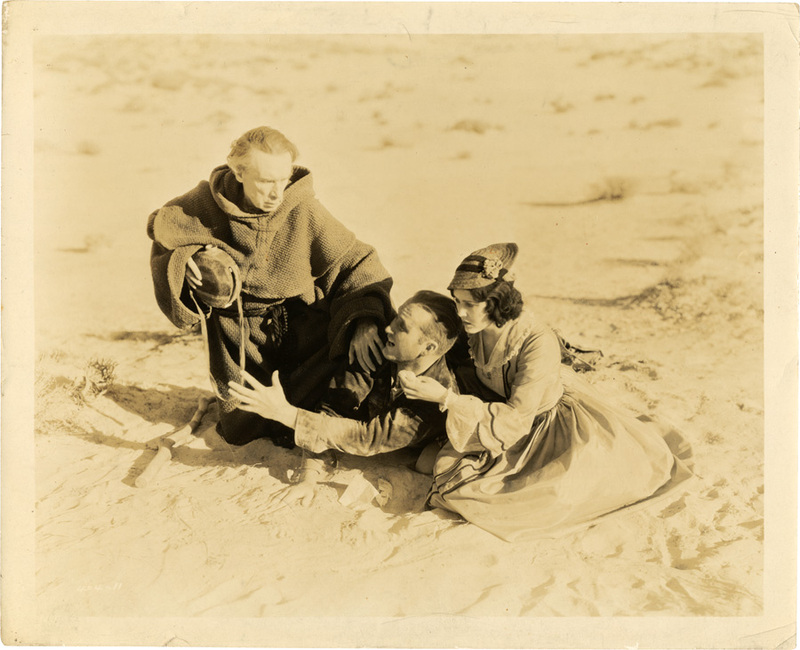 404-11-Tim McCoy, Raquel Torres and Edward Connelly in the grim desert episode in Metro-Goldwyn-Mayer's Desert Law. a separate "correction" titles the film The Desert Rider, and adds that it was directed by Nick Grinde, from a story by Milton Bren and Ted Shane. McCoy plays Jed Tyler, Torres is Dolores, and Connelly plays Padre Quintada. IMDb page here. note carefully dug sandmoat round hem of the skirt… no meaning, no poetry, just strange.